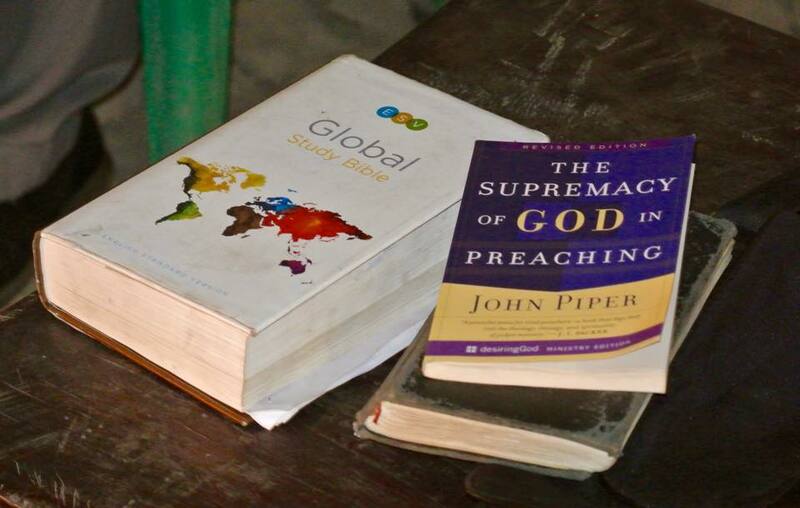 6,576 ESV Global Study Bibles and more to Africa! Our time back in America is fast coming to a close. Carol and I are so grateful for many friends! The Lord has blessed us with wonderful times with supporting churches: Lifegate Church, Good Shepherd Evangelical Church, Seagrove Baptist Church,Rocky Point Baptist Church, Faith Lutheran Church, Amazing Grace Baptist Church,Dayspring Fellowship, and Gospel Life Church. Our last Sunday before leaving for RAU on Tuesday morning will be back with our home sending church, Lifegate. We have also had sweet fellowship with many dear friends and have made many new friends whose hearts are stirred for the Nations. 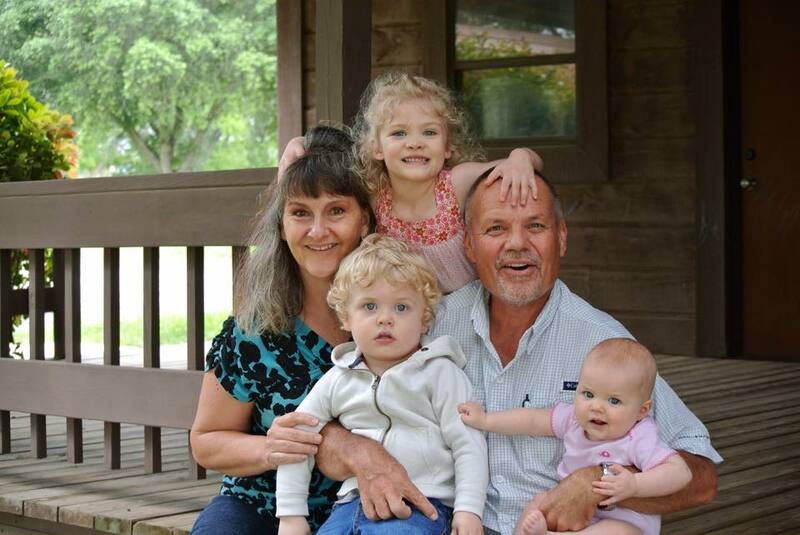 Our time with family,especially the grandchildren, was very precious. We are sad and sorry about the many friends and family members we were not be able to be with. We return back for Christmas. During Christmas ’14 we we were with a beautiful Yumbe District church. Lord willing we will be able to connect with many on our next visit that we missed on this trip. 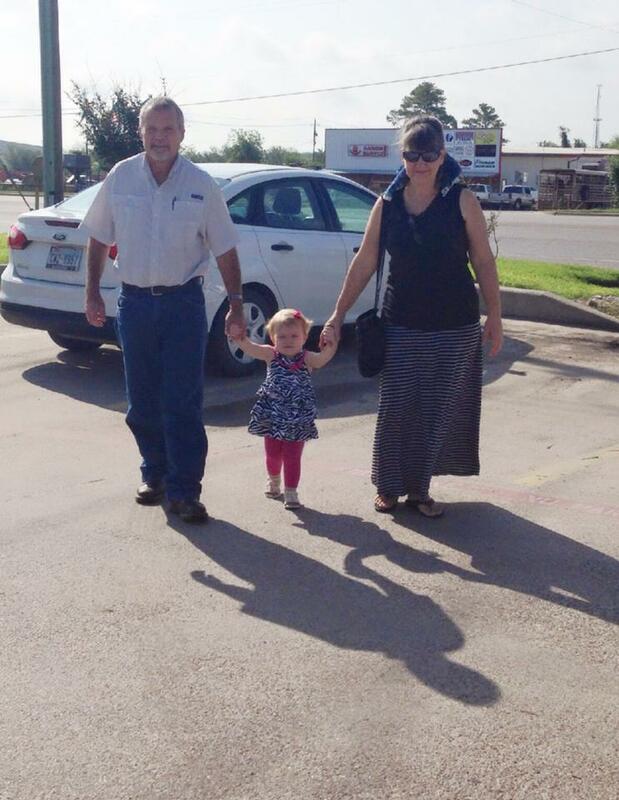 The Lord has blessed in so many ways during our visit back here in the States. First, the Lord has graciously supplied the funds through His people for the ESV Global Study Bibles for which we have been trusting God . When I contacted the good folks at Crossway Publishing this week they said that because of close-out prices they would be able sell the Bibles for less than their first quoted price when we first started raising the funds last Fall. With the lower prices we are now able to get 6,576 ESV Global Study Bibles instead of 5,000 for the same amount of money! Some Bibles will be Hard Back and some TruTone Brown. Thank you, Crossway! Now I know what the disciples felt when Jesus multiplied the loaves and fishes. 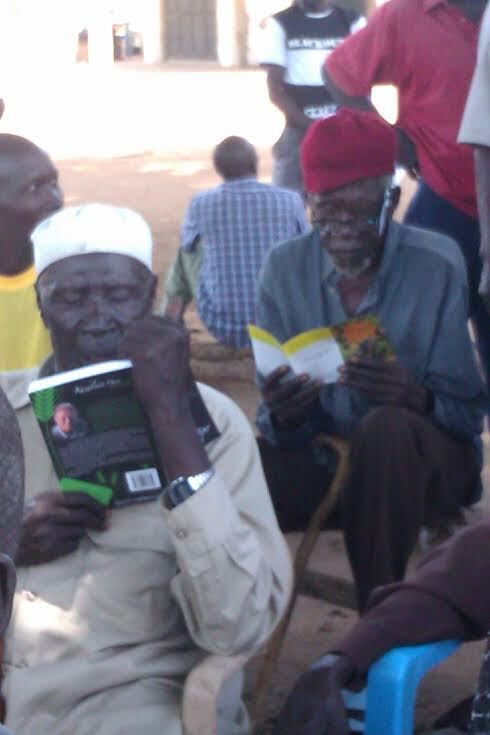 Thank you to all who prayed and have given to bring these Bibles to the West Nile of Uganda. The bulk of them will be given to church leaders which exponentially increases their multiplication effect! Lord willing, the shipping container will start its journey the first part of July. 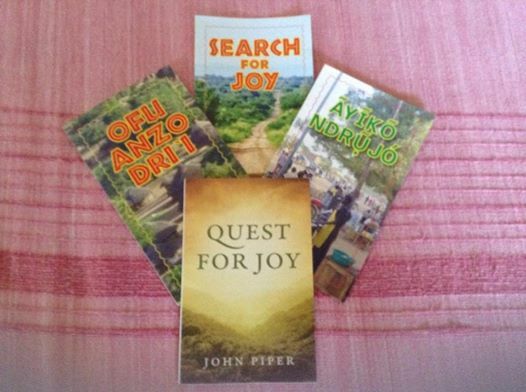 In addition to the Bibles, we have been able to purchase another 180,000 Search For Joy gospel tracts written by John Piper in English, which we have had translated into Madi, and Aringa, bringing the total number of tracts to be placed in the container 480,000! Keep in mind that when we give out a tract in our area it is read by multiple people. These tracts will be joining many rich theological and Biblically sound books donated by The Gospel Coalition International Outreach.. These books will be given to church leaders which also multiplies their effectiveness for God’s glory. Several churches have also donated many good books for the RAU library, among them are Spurgeon’s Metropolitan Tabernacle set! In addition, Delmar Hager, with Study To Be Approved, is sending back with us more Kindles for pastors. These Kindles have over 300 great books along with several Study Bibles loaded on them. They will join the many other Kindles which are already enriching pastors and furthering the gospel. The Gospel Coalition International Outreach and Study To Be Approved are ministries worthy of ardent support by the church of the living God! Other resources have also graciously been provided for and will be shipped out in the container. As the Lord provides through His people I would like to see more of Grudems’s Bible Doctrine and more 9 Marks books. 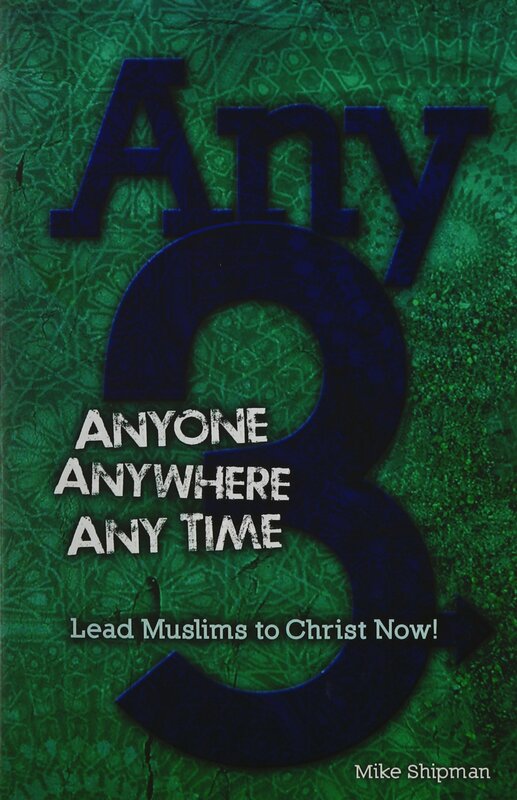 In addition I would like to place in the container Anyone, Anywhere,Any Time: Lead Muslims to Christ Now! This resource will help equip God’s people in reaching Muslims in our area. 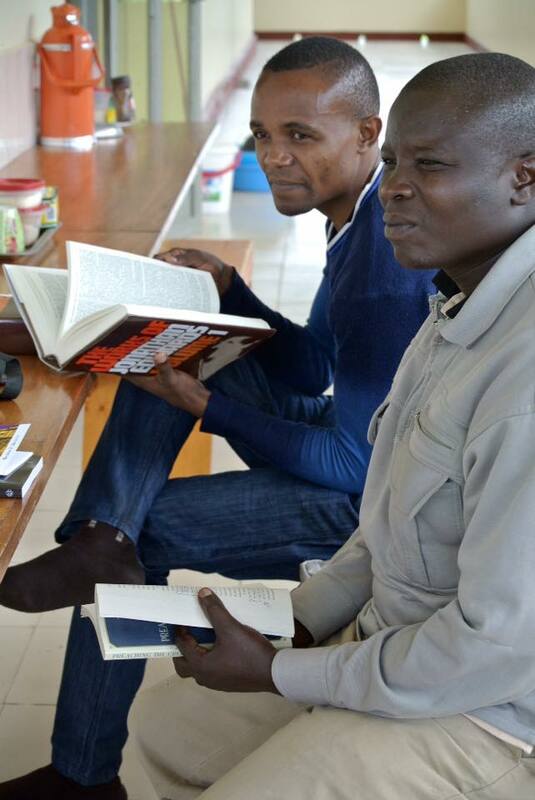 At our container blog link here you can read about how to help: https://reachingafricasunreached.org/fill-the-container-study-bibles-books-and-more/ If you prefer, you may send these resources directly to: Lifegate, 395 Lifegate Ln., Seguin, TX., 78155 and they will be placed into the container by our Lifegate friends. 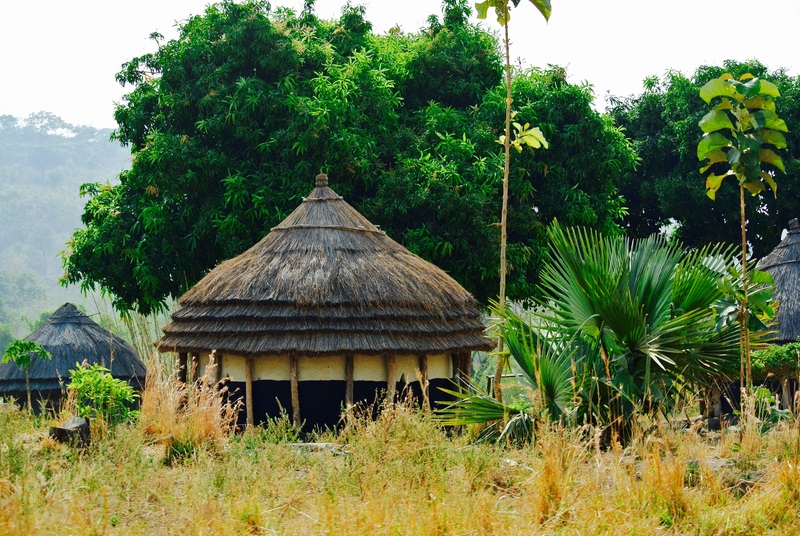 The Lord is on the move in the West Nile (Northwestern Uganda) and it is honor to be riding the crest of His wave. 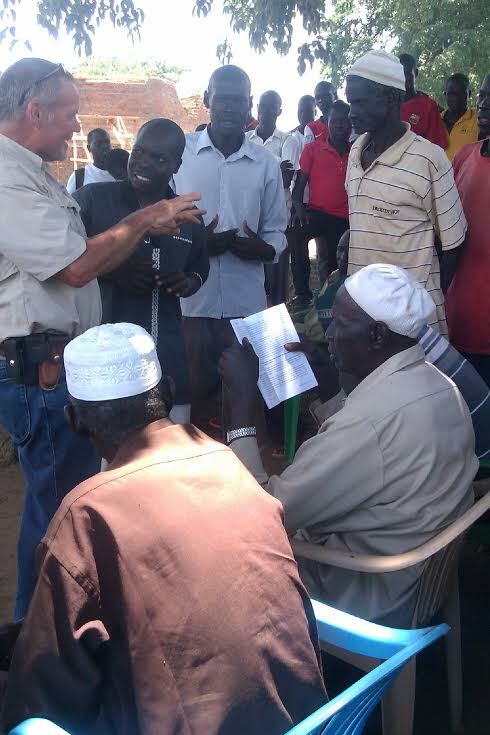 Church leaders are being strengthened, lost souls are being reached and new churches are being planted, and the Lord is opening the hearts of many Muslims in Yumbe District and Obongi Sub-County! Your prayers are a part of breaking the hard ground and seeds of the gospel being planted. It is an honor to be partnered with you! What we do now for Christ in His love will echo throughout eternity! 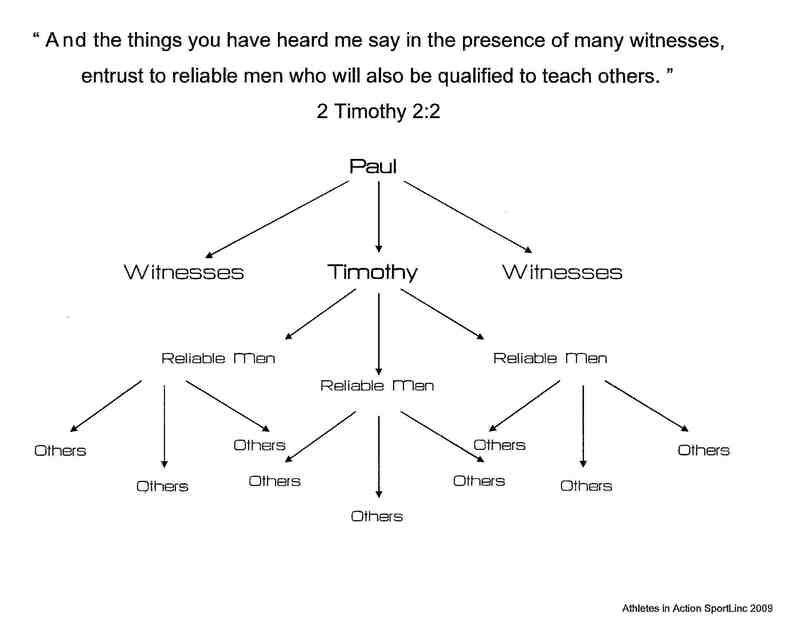 With the Lord saving many and new churches being established, there is a need for a place where the Lord can train new shepherds for those He is bringing into the Kingdom of Light. 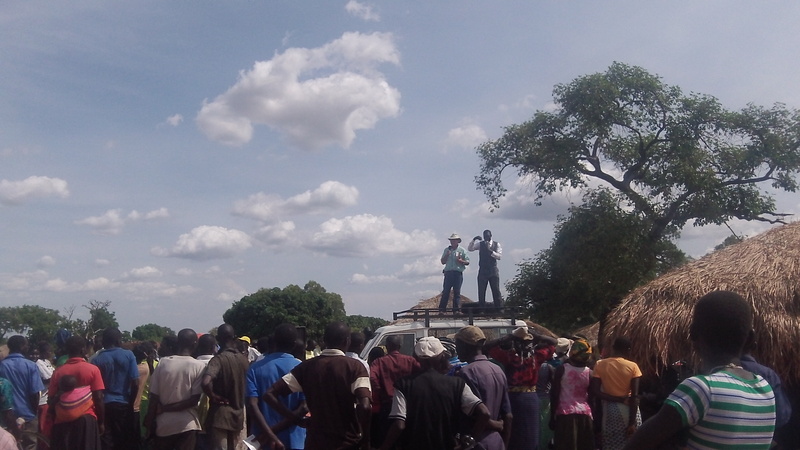 We also are seeing what I believe is an outpouring of God’s Spirit in the Muslim areas of Yumbe and Obongi Sub-County. 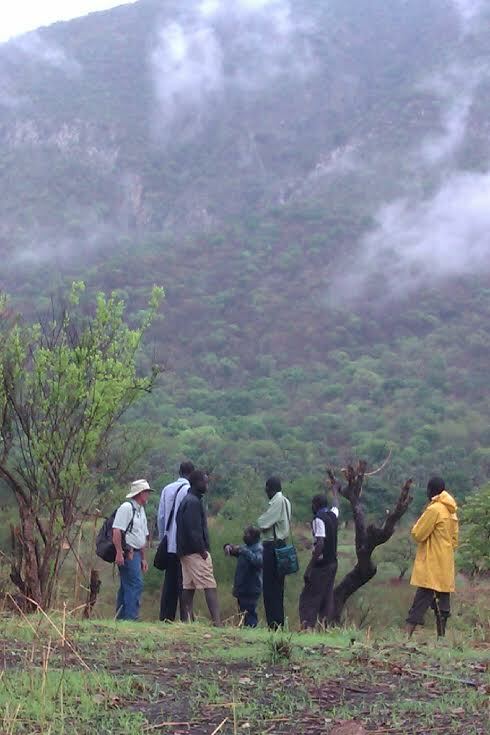 It has become a deep and increasing burden to me to establish a Bible School on the land which the Lord has given to RAU for the training of leaders. My thinking now is that it would be a short-term, 3 months of intensive training which would work in tandem with our 4-day retreat sessions. 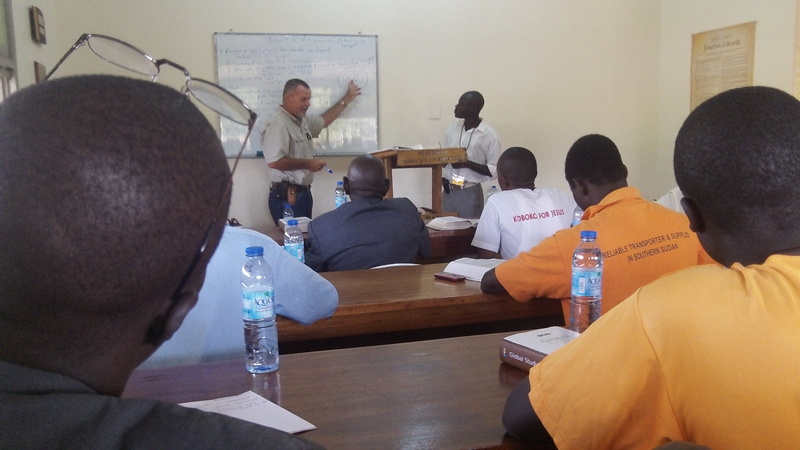 Currently, there is very very little access to in depth biblical training in our West Nile Region. This means more building but it can provide for ongoing ministry that will, Lord willing, endure for generations. The first project would be to build two classrooms and then more housing where pastors would stay while in the Bible School. 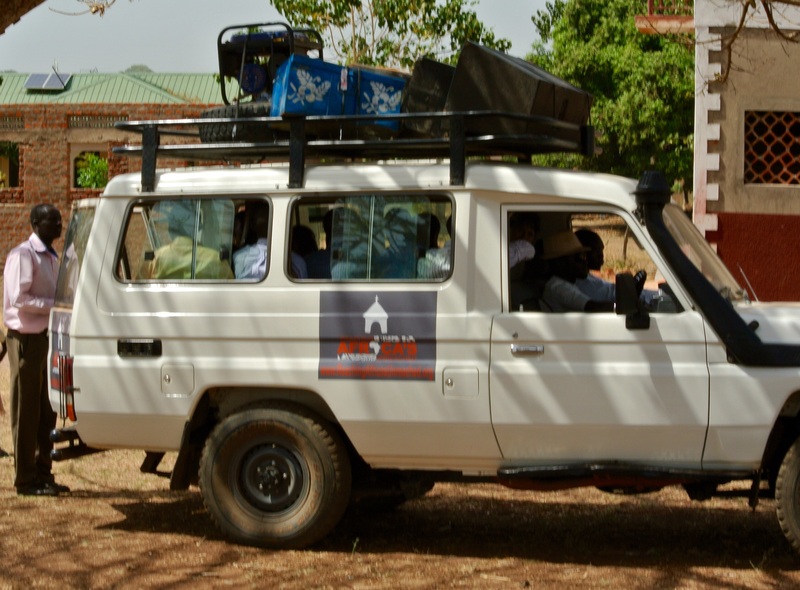 Because of the economic situation in the area we would need to get sponsors for the pastors. In the midst of this building we would continue our retreats and our discipleship and evangelism outreaches in cooperation with local churches. Please be in prayer for us in this! We are also in serious prayer for another couple or other team members who would share the vision and come and be a part of the RAU team. 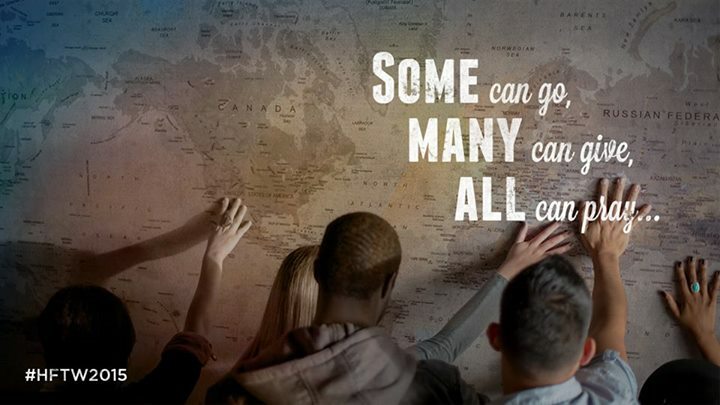 Together we can make an eternal impact in this area of the world for God’s glory!